Height of storm snow (HST): 25 - 40 cm (10 - 24 in). Signs of instability: Skier triggered storm slabs and propagating wind slabs. Blocking and cracking. Column tests: ECTN1 ↓ 15 cm, ECTN7 ↓ 20 cm, ECTN14 ↓ 40 cm atop crust; CT2 ↓ 15 cm RP, CT4 ↓ 20 cm RP. Temperatures: Below 6000 feet, increasing temperatures made snowpack very heavy and sluggish. 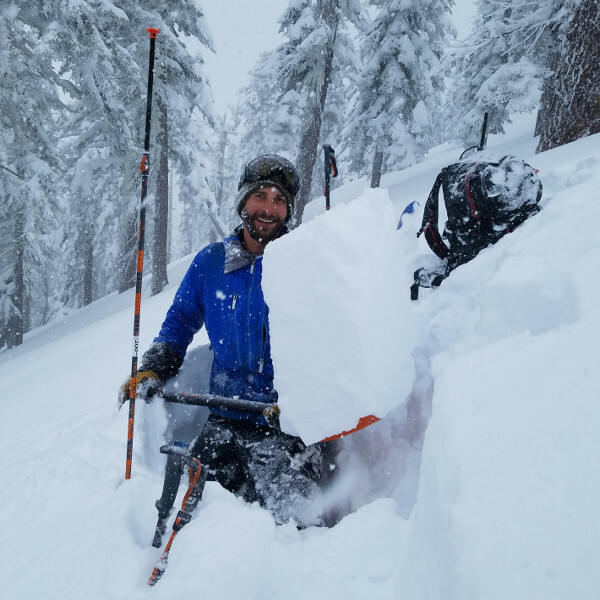 Column tests and shovel tilt tests indicate the presence of a storm slab problem especially coupled with reactive ski test results on steep slopes near and below treeline.